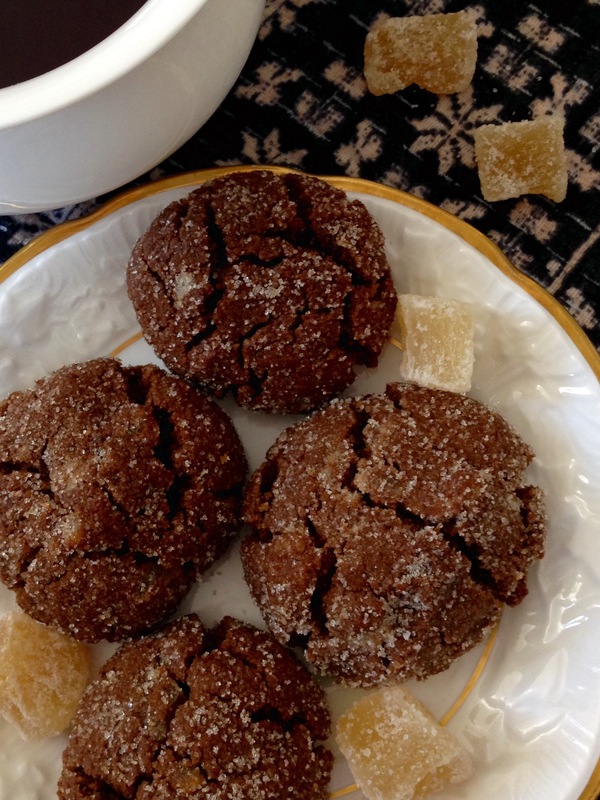 Today’s cookie recipe is a tender, old-fashioned ginger molasses cookie with a classic spice blend. Magically spicy and just like grandma makes ’em. These wondrous cookies are concocted with blackstrap molasses, which, despite being a sweetener, are a great source of important minerals. In fact, 1 tbsp. of this dark brown syrup provides you with 27% of your daily manganese need (manganese helps for bone formation and helps you metabolize macronutrients) and 15% of your daily iron need (iron is an ally as it helps make up hemoglobin/red blood cells and thus carries oxygen around your body). Cue the candied ginger. I love candied ginger. Its taste is so outstanding – so sweet, yet so spicy. It burns my throat as I gobble it down but I can’t stop myself. I do believe I’m a rare breed though, in that I doubt many people eat candied ginger like it ain’t no thang. 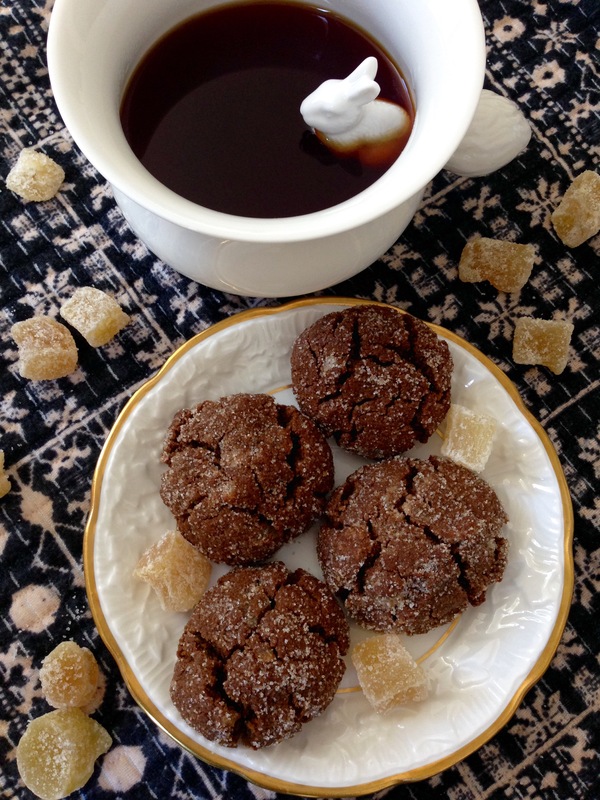 Anyhow, my love for candied ginger has pushed me to find a recipe I could incorporate it into, and here we are 🙂 In these cookies, it adds a beautiful zing and extra chewiness – not to mention it is anti-inflammatory and great for digestion. Bottom line: When you make these, your cookie jar will be empty for sure. Add wet ingredients to dry ingredients and mix well, avoiding overtaxing the batter. Roll batter into balls (about 1 tbsp. each) and place on a lined or oiled baking sheet. Bake for about 20 minutes or until cookies are golden and cracked at the top. Cool for a couple minutes.